Buried deep in the Arctic, the Svalbard Global Seed Vault protects and preserves mankind’s agricultural heritage. Here’s how Memphian Cary Fowler helped make it happen. Cary Fowler, executive director of the Global Crop Diversity Trust, stands by the entrance of the Svalbard Global Seed Vault; Svalbard Global Seed Vault mountainside entrance. It is 4,059 miles from Memphis, Tennessee, to the Svalbard archipelago in the Arctic. Svalbard is the northernmost European settlement and north of the Arctic Circle — meaning it's subject to polar night and midnight sun for months at a time. The Norwegian island group, covered in permafrost and glaciers, is home to about 2,400 hardy souls, a few international coal-mining interests, reindeer, arctic foxes, and thousands of polar bears. Norway is also the location of the Svalbard Global Seed Vault. Opened in 2008, the so-called Doomsday Vault is a safety net designed to protect the Earth's crop diversity. 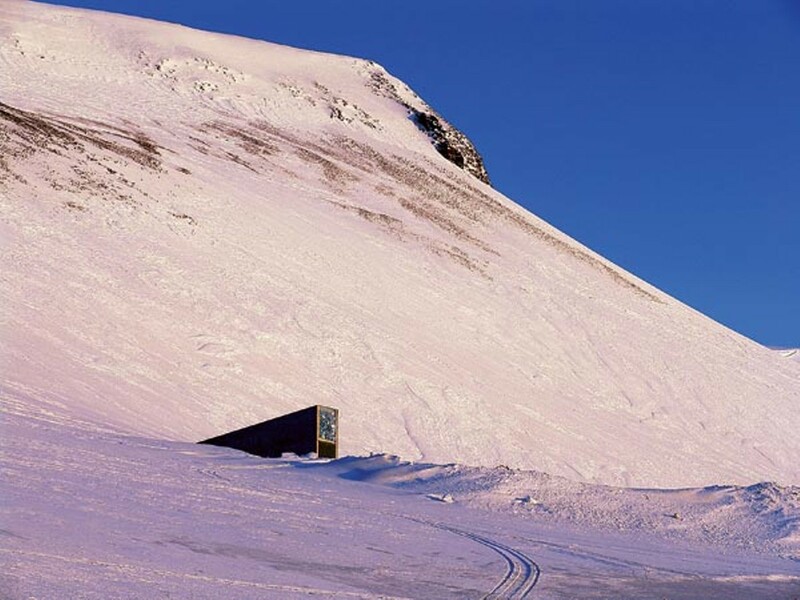 Carved out of a mountain near the village of Longyearbyen, the seed vault is a backup storage bank for hundreds of thousands of seed collections deposited by 228 nations and dozens of international gene banks. Svalbard Global Seed Vault is a fail-safe that ensures against incremental and catastrophic loss of crop diversity in the places around the world from where the seeds hail. With three storage chambers built as deep as 478 feet from the surface entry point, the $9 million seed vault protects more than 4,000 species of crops and 650,000 crop varieties in a permanent, naturally subzero environment. Since Svalbard isn't conducive to tectonic vagaries, and the vault is situated higher than the worst-case high-water sea levels demonstrated by climate change models, these seeds will survive there for hundreds, and in some cases thousands, of years. It is the kind of place that might save millions of lives one day. And the Svalbard Global Seed Vault is the brainchild of a Memphian. 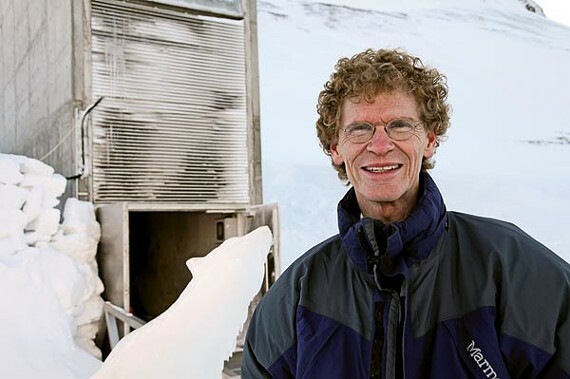 Memphis and Svalbard are inextricably linked thanks to Cary Fowler, whose scientific efforts have brought together these two unlikely places. Fowler was born in 1949 to parents who were dedicated to the service and well-being of their fellow Memphians. His mother, Betty, was a dietitian at the West Tennessee Tuberculosis Hospital. His father, Morgan, was a General Sessions judge. "I grew up with a sense of the importance of fair play and justice," Fowler says. Fowler learned much by observing what went on in court. "I give a lot of credit to my father, who was ahead of his time and a person of uncommon integrity. I've always been proud of what he did. He always said that he wanted the first experience people had of the judicial system to be a good one, to be run properly. He practiced his profession without regard to race or class." The judge's son came of age in the 1960s, when the civil rights movement dominated the headlines, the news broadcasts, and his family's breakfast conversations. "I grew up in turbulent times in Memphis," Fowler says. "In those days in some parts of the country, idealism came cheap. In the South, it was going to be tested. You had to learn how to get along with people, and you had to learn how to fashion pragmatic solutions. You learned the value of the individual, family ties, the importance of integrity — these are [all] lessons that are good on the international stage." Fowler was exposed to agriculture early. On his mother's side, there was a family farm in Madison County near Jackson, Tennessee. "I used to spend a fair amount of time there," Fowler says, "and it left a deep impression." On the farm, Fowler witnessed the transition from an older style of agriculture to the systems that are common today. The diversified family farm grew primarily corn, cotton, and soybeans but also had other vegetables, chickens, a fishing pond, and dairy and meat cattle. Indeed, rural life was a large part of the culture in which Fowler grew up. His grandfather had a role in bringing the West Tennessee Experiment Station to Madison County. The station had a barbecue every year, Fowler recalls, and he would attend with his grandmother and watch as she walked among experimental rows and selected the crop varieties she would grow on the farm the next year. His grandmother would talk to him about soils and how much a particular field would produce. Resistance and yield were the prize attributes of a crop. "In some subtle way, I began to understand the biology of agriculture," Fowler says. Political activism and modern agriculture: These two ingredients percolated in the Precambrian tide pools of Fowler's budding intellect. "For a lot of people, agriculture and issues of justice and rights are separate issues. In my household, there was no such border." Looking past the horizon of his youth, Fowler thought he'd follow in his father's footsteps and become a lawyer in Memphis or perhaps go into politics. He graduated from White Station High School in 1967 and matriculated at Rhodes College, then known as Southwestern; his father and aunt were Southwestern alumni. "I grew up at Rhodes and learned some of the most important lessons in life there." He transferred midway through his junior year, however, and finished his degree at Simon Fraser University in British Columbia, Canada, because, as he puts it, "I was youthful and had a lot of wanderlust." After Simon Fraser, he applied to several graduate schools in the U.S. and Sweden and was accepted into the sociology program at Uppsala University. Why Sweden? A friend from college had gone to school in Sweden and liked it. Fowler studied sociology and did his dissertation on the development of intellectual property rights over crop varieties. Fowler had become acquainted with the issue of crop diversity in the early 1970s. His plan was to spend a couple months reading about it and doing some research. After he earned his Ph.D., Fowler returned to the U.S. and went to work for the Institute of Southern Studies in North Carolina. The organization, founded by civil rights movement veterans, publishes a journal called Southern Exposure. In 1974, the magazine did an issue on agriculture in the South called "Our Promised Land." Fowler wrote an article for this special issue, an ode to family farming and its impending demise from federal agricultural policies and hyper-mechanization. Agriculture was changing dramatically, and as it did, farmers were growing fewer varieties of crops. His work on the article led to an epiphany. "It felt so good; it satisfied me," Fowler says. "It integrated a lot of things in my background." With this renewed focus, Fowler next worked on a collaborative book about the world food crisis, called Food First: Beyond the Myth of Scarcity, while at the Institute for Food and Development Policy. Then for about 10 years he worked for the Rural Advancement Fund/National Sharecroppers Fund, a nonprofit organization in North Carolina with which Eleanor Roosevelt was associated. During research, he came across the work of an American scientist named Dr. Jack Harlan. A well-respected professional, Harlan was writing articles with names such as "The Genetics of Disaster" and talking about the consequences of the loss of crop diversity, explaining how it might lead to catastrophic starvation on an unimaginable scale. "That was a life-changing moment." Fowler says. "I realized that this diversity was in fact the biological foundation for agriculture. It's the raw material for the evolution of our crop plants." As it relates to crops, diversity is the variation in plant features within crop species. Different varieties of a particular crop will have varying resistances to certain pests or diseases. Some will be uniquely suited for a particular environment and climate while others will not, among a virtually limitless litany of possibilities. There are more than 200,000 varieties of wheat alone. "Good farmers walk their fields out of interest, not just out of necessity. They have to make thousands of decisions. Farmers have to know what they're doing and anticipate markets. And people who live and breathe their crop have this relationship with the crop that you can't quantify. They have a feel for what's going to happen — and sometimes they can't explain it. That's part of their art." For centuries, agriculture was a product of this art. The word "gene" wasn't coined until after 1900, after all. But the world's farmers were always primitive geneticists, saving specific seeds, domesticating their crops and saving the characteristics of a good plant for the next year, when there'd be more of those good plants, and the year after that even more. "The world's farmers were plant breeders," Fowler says. In the U.S. during the 19th century, the government distributed millions of packages of seeds to farmers in experimental quantities. "Farmers in the 1800s engaged in millions of small-scale experiments," Fowler says. "When a crop variety did work, they multiplied it, and the farmers who were best at selecting seeds for the next year became seed companies, selling seed to their neighbors. And this is how we have agriculture all across this country. It's because of our ancestors and the diversity they had to play with, to select from. We're still tinkering, and it behooves us to save the pieces." Today's plant breeders can coax desired traits out of crop varieties. When a new pest or disease comes along, it can be assumed that the crop has seen that pest or disease somewhere in its history; otherwise, it probably wouldn't still be here. In fact, the plant in question may no longer have much resistance to that disease, but back in that particular variety's lineage, genetic adaptations occurred to ensure its survival. Can agronomists go back into the past, and, through plant breeding, reinsert that resistance? To be able to do so requires that all of the historic diversity be conserved. "You're going to need crop diversity as long as you want to have agriculture," Fowler says. "And if you're going to conserve crop diversity, conserving it for 49 out of 50 years is not quite good enough. What we're really doing is conserving all of the options." Variety isn't the spice of life; it's an essential component. "We're in the middle of a mass extinction event in agriculture, and we're in a race against time," Fowler says. "It's the natural unintended consequence of the modernization of agriculture, particularly in developing countries where you still have a lot of diversity in the field. Because they don't get their seeds from modern seed companies or plant breeding programs, a family may have been essentially saving a variety — choosing seeds from this year's harvest, saving them to plant next year — and they may have been doing that in an unbroken chain back to Neolithic times." When a new variety comes along that promises a higher yield, Fowler says, "the genetic diversity and heritage of a millennium can be boiled up in a pot or porridge overnight." Once a variety is gone, its departure is permanent. "What we have now," he says, "is what we're going to live with as a species for the rest of our existence on earth." 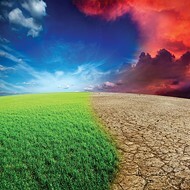 Fowler believes that crop diversity is at the crossroads of the planet's future. "Can you imagine a safe, effective, sustainable solution to food security, to water problems, to climate change, to the energy crisis, to peace and development — can you make a success of dealing with any of those issues without crop diversity? Because if you don't have crop diversity, your agricultural system is going to fail. And you're not going to be able to produce varieties that need less water or require less energy use. And you're not going to be able to feed people. If you can't do that, guess what's going to happen to peace and security in this world? It's not a luxury to solve this problem. It's a prerequisite for all of the other problems in the world." Thankfully, diversity conservation isn't all that hard to accomplish, because so many crops are saved in the form of seed. And seed can be preserved with the freezer you have in your home. 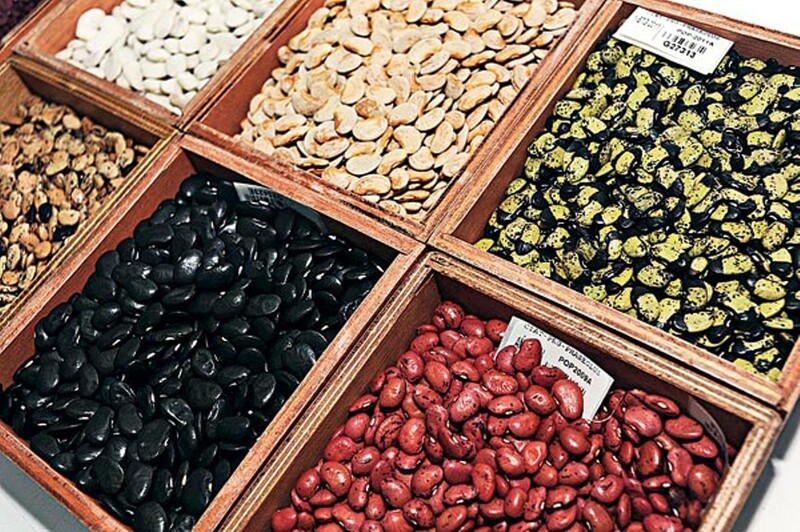 Virtually every nation has a seed bank. A particular country will save and distribute seeds each year to its farmers and agricultural interests. Seed banks serve as backups to crop reserves and also preserve varieties that aren't currently in use. Most seed banks in the U.S. are public facilities such as libraries, and the diversity there is available for anyone to use, as optimal crop varieties in a particular season are in constant flux. Ideally, seed banks are above the fray of funding trends and mid-term elections. But bad things can happen to seed banks. The seed banks in Afghanistan and Iraq have been destroyed in the past decade. Civil strife has claimed the banks in Rwanda, Burundi, and the Solomon Islands. Equipment failures have hurt the Italian seed bank. There's human error. "It's like any library," Fowler says. "A librarian will lose a book every once in a while." And don't think that what happens in Latvia stays in Latvia. The value of crop diversity there, or in Nigeria or Australia or anywhere else, is potentially as valuable to Americans as that of our own seed banks. Not only are growing environments different from country to country, but they also change within a region over time. "The traits that you might want in the future in the United States may not be the traits that are here already," Fowler says. "They may be the traits in Nigeria. Therefore, it does really matter whether those collections in Nigeria remain viable. "There's no country that's independent in terms of the resources it has. The United States has one of the best seed banks in the world, but it has nowhere near the diversity it's going to need in the future." Fowler comprehended the scope of the need — conservation of crop diversity on a global scale — but perceived that there were no systems, mechanisms, legal agreements, or financing to push toward this goal, only "a bunch of disparate activities of well-meaning scientists." Coming out of college, he began writing about and agitating on the subject. Fowler had moved to Norway, having taken a position at the Norwegian University of Life Sciences. He got a call from the United Nations' Food and Agriculture Organization based in Rome. He was asked to oversee the first global assessment of the state of the world's crop diversity. Following that assessment, he was charged with creating a global plan of action. The diplomatically sensitive process took years to conclude, but a protocol was ultimately negotiated and signed by 150 countries in 1996. Returning to Norway, Fowler taught and worked with the Consultative Group on International Agricultural Research (CGIAR), a consortium of agricultural resource centers that were conserving the bulk of the diversity in major food crops and were involved in most of the plant breeding in developing countries. Working with the World Bank, CGIAR upgraded seed banks around the world and became deeply involved in negotiations for an international treaty for conserving crop diversity. Out of these discussions, the idea of creating an endowment fund was brought to the fore, and the Global Crop Diversity Trust (GCDT) was formed in 2004, with Fowler as the organization's first executive director. As the 21st century dawned, a series of major meteorological disasters and one major man-made one (9/11) drew increasing attention to the fact that any single nation's seed bank could be destroyed at any time, taking with it a segment of the world's plant diversity. 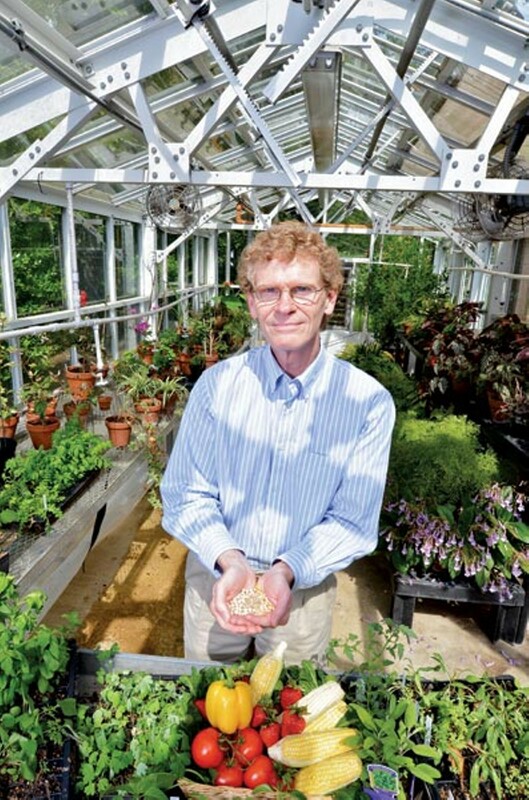 Fowler worked closely with Dr. Henry Shands, the director of the National Center for Genetic Resources Preservation, the U.S. national seed bank. Fowler recognized soon after his appointment as GCDT executive director that the seed banks of well-developed nations were in effect no more secure than those functioning in Third World countries. "One of the things I recall [after Hurricane Katrina] is that there were a lot of recriminations," he says. "And the recriminations went back to the scientists, to the authorities, to the government, saying, 'You knew that sooner or later something like this would happen, and you knew it was going to be a disaster when it did happen. So why didn't you plan for it?'" Fowler understood that seed banks were "off the radar screen of most citizens of the world, despite being completely essential to food production, to food prices, to daily bread, to the difference between starvation and having a meal tonight." But he understood exactly what would happen if a catastrophe struck the U.S. national gene bank. "If one of these disasters happened, somebody was going to wheel around and point their finger at people like Henry Shands and myself," Fowler recalls. "And they'd ask, 'What did you do? Why didn't you raise the alarm bells?'" In 2003, Fowler drafted a letter asking the Norwegian government if it would consider establishing a seed-vault facility in Svalbard. That vault would become the safety backup to the world's seed banks. "You don't want all of the samples of all of the diversity stored in one place, no matter how secure you think it is," Fowler says. Ideally, a sample of each crop variety would be in three places or a minimum of two. At least one of them would be in the originating country's seed bank. At least one other would be at Svalbard. The idea of a global seed vault had circulated for a number of years, but with the passage of the International Treaty on Plant Genetic Resources, the concept could be moved forward. Norway was using the shaft of an abandoned coal mine as a backup facility for its own national seed bank. 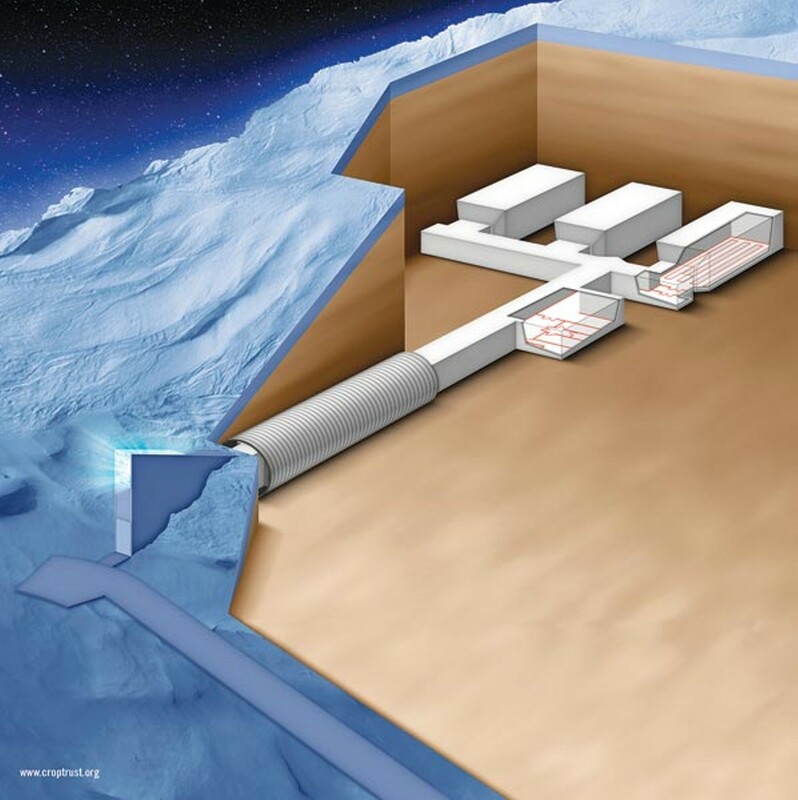 Working with the Norwegian government, Fowler called officials around the world, asking if their countries would be willing to contribute seeds to an underground Norwegian facility. He met with engineers and experts in numerous fields and dozens of national officials. The business model for the seed vault is that of the safety deposit box. Norway owns the facility, the GCDT provides funding for its operations, and the depositing countries own the seeds. The Svalbard Global Seed Vault opened in 2008. Today, it contains 400 to 500 seed samples of 650,000 crop varieties. It has 80,000 varieties of rice. The seed vault in Svalbard has more biodiversity than any other facility in the world. It's a pre-rescue mission the likes of which the world has never seen. Cary Fowler has turned the idea of "think globally, act locally" on its head. And with his success as executive director of the GCDT has come international media exposure. Fowler has been profiled by 60 Minutes, National Geographic, and The New Yorker. In 2010, he was awarded the Heinz Award by the Heinz Family Foundation and the Vavilov Medal by the Russian Academy of Agricultural Sciences. Closer to home, he's an associate curator for the Memphis Pink Palace Family of Museums. Currently, Fowler is based in Rome, headquarters of the GCDT and the United Nations' Food and Agricultural Organization. He returns to Memphis about twice a year to visit his parents, his two teenage children often in tow. While home this past spring, he received an honorary doctorate from Rhodes College. Fowler visits Svalbard about four times a year. "I don't think I'm ever happier than when I'm down in that tunnel," he says. "It is stunningly beautiful. There's one particular room that's like a cathedral. The walls are very tall, made out of solid stone, white. It's a fantastic feeling to walk into the cold room at minus-18 degrees; you've got 650,000 seed samples there, and I'm thinking, I don't know what else I did in my life, but this is safe." This article also appears in the September/October issue of MBQ: Inside Memphis Business, a sister publication of the Memphis Flyer. H2’s joyously brilliant ET pseudohistory.